Most people never tap into 10% of their potential for memory. Do you ever feel like you're too busy, too stressed or just too distracted to concentrate and get work done? 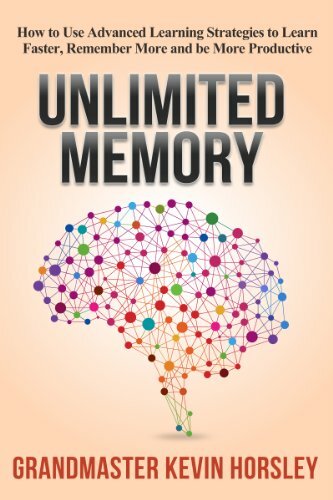 In Unlimited Memory, you'll learn how the world's best memory masters get themselves to concentrate at will, anytime they want. When you can easily focus and concentrate on the task at hand, and store and recall useful information, you can easily double your productivity and eliminate wasted time, stress and mistakes at work. For over 25 years, Kevin Horsley has been analyzing the mind and memory and its capacity for brilliance. He is one of only a few people in the world to have received the title of International Grandmaster of Memory. He is a World Memory Championship medalist, and a two-time World Record holder for The Everest of memory tests. Kevin is also an author of four books, and the designer of a mathematics game with the Serious Games Institute at North-West University Vaal Campus. His work has been featured in The Oprah Magazine, Time, Forbes, Inc., The Huffington Post, ELLE, Longevity and on numerous TV and radio shows. Kevin is an International professional speaker and has spoken in many different countries. He assists organizations in improving their learning, motivation, creativity and thinking. For over 20 years, KEVIN HORSLEY has been analyzing the mind and memory and its capacity for brilliance. He is one of only a few people in the world to have received the title International Grandmaster of Memory. He is a World Memory Championship medalist, and a two-time World Record holder for The Everest of memory tests. Kevin is also an author of four books, and the designer of a times table game with the Serious Games Institute at North-West University Vaal Campus. Kevin is a professional speaker, and assists organizations in improving their learning, motivation, creativity, and thinking.